Caddies have walked golf courses for hundreds of years dating back to Mary, Queen of Scots, who developed a love for the game. So much so, King Louis of France built her a course to enjoy when she visited. Mary required guards while playing, so he hired cadets, the French translation being “cad-ay.” The practice stuck upon her return home, the Scots changed it to “caddy” and it’s evolved into a customary part of golf’s lexicon. Over the years, caddies were typically reserved for country clubs and iconic resorts. At its peak, roughly 85% of U.S. private courses offered caddies and forecaddies. That number dipped precipitously in 2007-2008 during the recession, proportionate with club membership declines. Since then, a caddie renaissance has emerged. 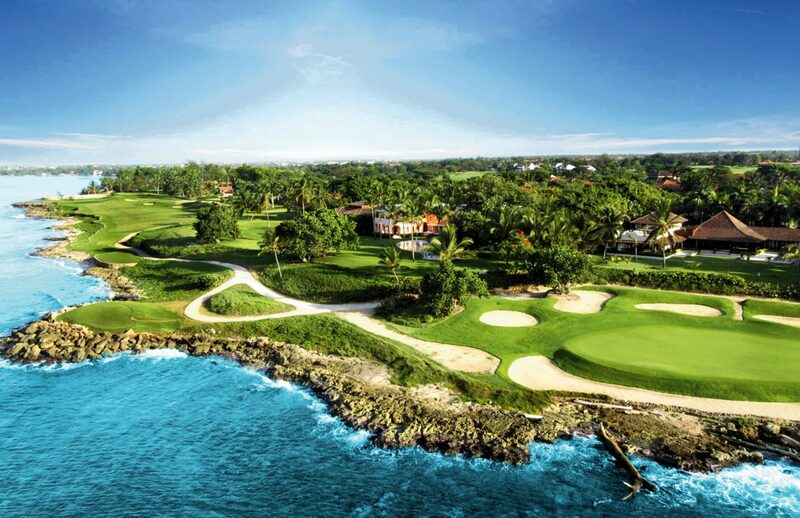 But it is not limited to high-net-worth golfers. Like most traditions these days, technology makes premium services available to average Joes and Janes. Leading the movement is CaddieNow. While its caddie (“concierge”) management platform is thriving at Tier-A (U.S. Open host Olympic Club) and Tier-B private clubs coast to coast, it also matches golfers and caddies on demand, a la Uber, through its app. And the demand is significant. Additional findings benchmarking the caddie phenomenon are at caddienow.com. Founded in 2016 and headquartered outside Washington, DC, CaddieNow is America’s fastest growing caddie management platform. 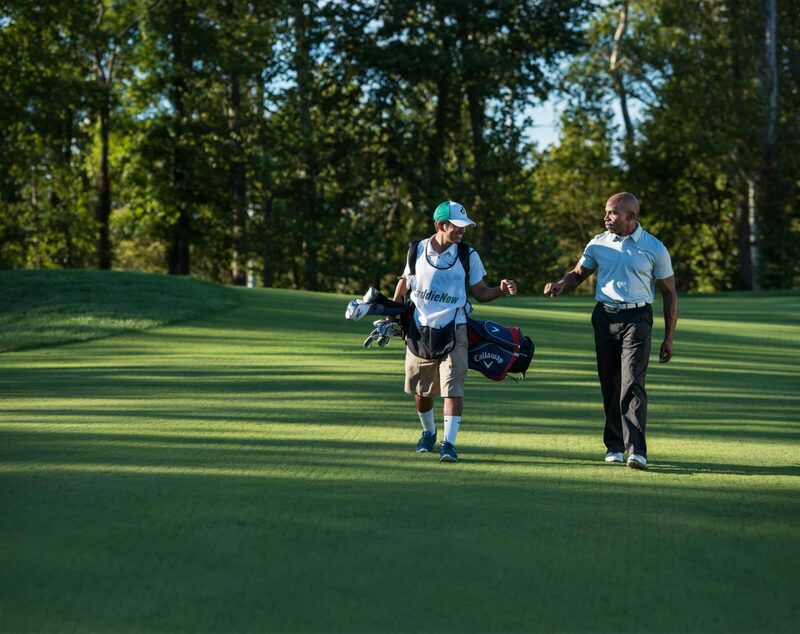 It is increasing lifetime value of the game by making youth caddies widely and easily accessible to golfers of all skill levels at affordable prices. Moreover, injection of caddies into golf outings and tournaments elevates their statures and helps raise more money for charities. Fun fact: Arnold Palmer, Bill Clinton, Bill Murray, Bob Hope, Bing Crosby, Martin Sheen and Chris Evert looped at a young age and beyond. NBC received its highest final-round ratings at The Open Championship since Tiger Woods completed the Career Grand Slam in 2000 at the Old Course at St Andrews; total coverage was up 30% over 2017. He was also in the hunt to win the 2018 Honda Classic, and CBS’s final-round coverage soared 43% over 2017 to set a six-year ratings record. At long last, Tiger returns as a threat every time he tees it up. The comeback story, combined with his determined look and incomparable talent, denotes a return of his star power. Massive audiences of golfers and non-golfers globally are rooting for him. When this happens, his cultural impact is only rivaled by yesterday’s stars like Michael Jordan, Pele and Mohammad Ali. A while back, one sports marketer compared Tiger to high school quarterbacks and their cool factor. When Tiger is atop his game, golf isn’t perceived in a traditionally genteel way. 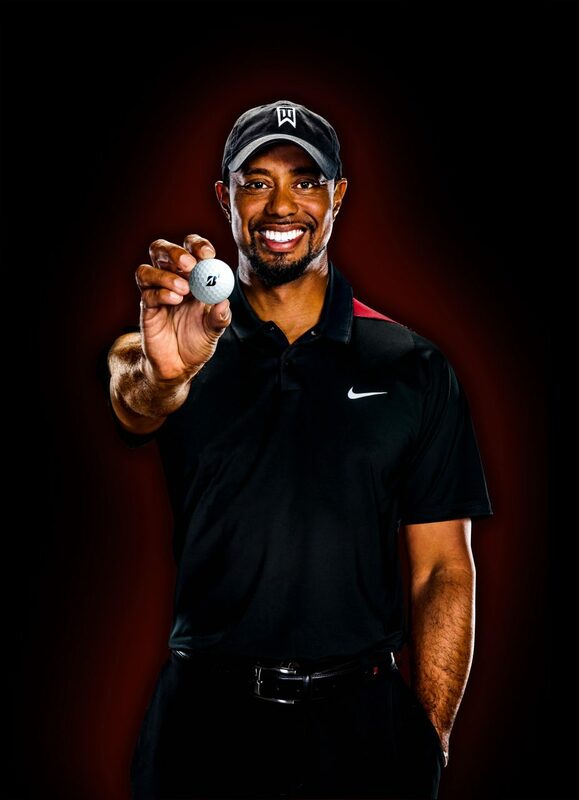 More on Tiger: Fascination with the world’s best golfers elicits buy-in from demographics one would inherently believe wouldn’t fall prey to commercial naiveté. They do as the pros do, and product manufacturers and service providers with ties to the stars often experience immediate sales increases if not sell-outs. Offer almost anything limited-edition, even at premium prices, and Americans of all economic strata want it even more. The positive growth of golf, augmented by Tiger’s comeback, allows for more investment in many aspects of the game. The advice to companies riding the wave: diversify with complementary offerings, but don’t go too far afield and, thus, distract from your core. Notwithstanding, go out of your way to culturally paint a difference. Nowadays, consumers, especially millennials, favor homegrown (typified by a re-born Tiger) versus corporate and dominant. The trend follows supermarkets which increasingly replace decades-old brands with locally-produced products, an image that garners support for a sense of community. The Consumer Confidence Index increased to 128 last month, a 17-year high. But with new trade policies and inflation as real threats to America’s economy, how long will the pace last? As the index goes, so do travel trends. Despite the U.S. capturing 16% of total international online, travel-related searches, up 13% from a year ago, China, France, German and Spain are gaining share of the booming global travel market. Domestically, no thanks to predictions of employment downturn in 2019-20, travel uncertainty is top of mind. Then there are rising gas prices affecting airfares and decisions of even luxury travelers. Buffalo polled several resorts and they no longer feel recession resistant. Forever looking over their shoulders, many are increasing marketing budgets by up to 75% to capture mind and market share while the going is good. Others are creating affinity partnerships to increase reach. Others are smartly leveraging data of past visitors and lookalike audiences to incent their returns and initial visits, respectively, at top dollar before the proverbial bottom falls. Peak-, off- and shoulder-season trends notwithstanding, doubling down on marketing now, while resorts are largely healthy, defines prudency. About 50% of top economists forecast as much as a 7.5% drop in the travel industry that generates $2.4 trillion and supports 15.6 million jobs. Are your designs, symbols, words and other elements comprising a brand image that’s attractively “wow” by today’s standards? Does your imprint and messaging identifying product, service and overall brand presentation stand for certain benefits and values, differentiating itself from others to catch the eye of a crowded and complex marketplace? At what point does your level of credibility, quality and satisfaction in buyers’ minds experience diminishing returns? The century-old Massachusetts Golf Association selected Buffalo to transform it to “centuries young.” Its look and feel didn’t strategically position it as a modern go-to resource for all golfers in the Commonwealth. Moreover, the association’s merger with the Women’s Golf Association of Massachusetts and acquisition of the Ouimet Memorial Tournament afforded serendipitous timing to change. Buffalo was charged to re-imagine the brand’s larger purpose and identity, contemporizing its principles, assets and benefits to engage membership and grow the game statewide. After a thoughtful discover-design-develop-deploy process, its new name became “Mass Golf” on January 1, 2018. The new logo boldly portrays patriotic red, white and blue, and features a progressive, custom font. The monogram embroiders with ease and the shield signifies a mission to protect and promote the game. Campaign themes across all communications channels are rooted in fun and integrity, upholding the values of community, competition and play with a “join” call to action. 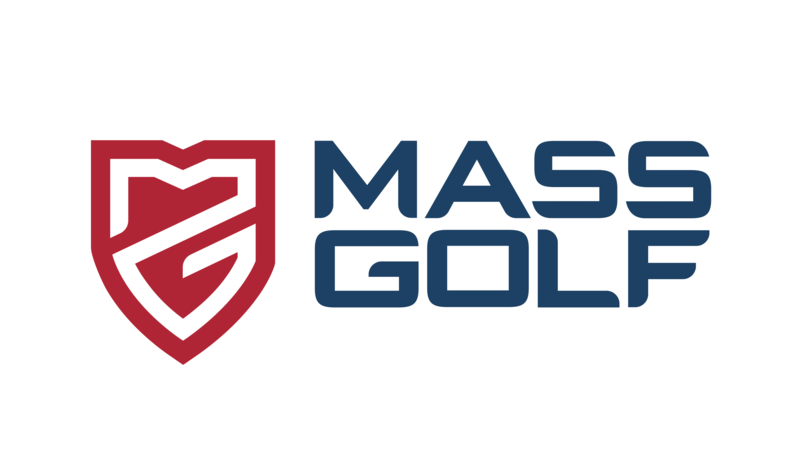 The brand is no longer confused with another MGA – the Metropolitan Golf Association covering NY, NJ and CT – and it has become the standard bearer for state and regional golf associations under the United States Golf Association aegis. So much so, Buffalo is working on a similar brand evolution program with the Colorado Golf Association’s identity. Stay tuned. The future of golf in America is brilliant. With on-course players solid at 23.8MM, a whopping 8.3MM off-course participants lift the total to 32.1MM. This was unheard of five years ago. Thank you, Topgolf, for breaking barriers for “wannabe” players to initially engage with the sport in an unintimidating environment away from the 18-hole norm. That is not to say low-handicappers don’t relish Topgolf as part of their addictions to the game. There are 41 Topgolf entertainment and event centers worldwide with several scheduled to soon open. They are unequivocally revolutionizing experiences with fun point-scoring games for players of all ages and skill levels, upscale bar food and drinks, and great music. Imagine an outdoor version of Dave and Busters with bowling-alley bumpers. Adding to the exciting times is the popular and dynamic Toptracer technology. 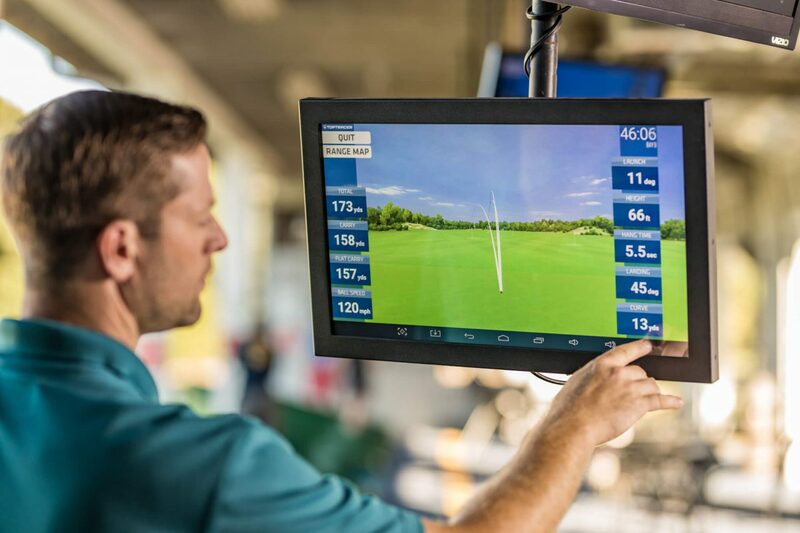 It is known among TV audiences worldwide as the on-screen graphic that seamlessly tracks ball-flight and shot data of the world’s best players at The Open Championship, Ryder Cup and other tournaments. Not relegated to the PGA TOUR, Toptracer is at select Topgolf venues and a feature of Topgolf Crush, the traveling pop-up version of Topgolf. Moreover, licensed installs of Toptracer Range at driving ranges and use at outings and tournaments provide tremendous interactivity. Those with Toptracer Range create entertainment hubs which draw casual and avid players, and report massive revenue increases. As if big isn’t big enough, former TaylorMade-adidas Golf CEO Ben Sharpe was recently named President of Toptracer Range. With rave reviews of the technology and immense socialization around it – plus Sharpe’s base in the golf-rich U.K. – expect exponential global growth in a no time. The Buffalo team is excited to count Toptracer as a PR client. Our passion runs deep.